It’s that time again – time for another Feature Story Friday! This time we’re learning more about Dr. Wes Ross. Dr. Ross is a Tifton native, and he and his wife, Shannon, have three children – Jay, Eli and June. After graduating from Valdosta State University, Dr. Ross got a job filing charts with Dr. Scott Petermann. Up until that point, Ross didn’t have that much of an interest in ophthalmology, but after being in that environment and seeing the difference that optometrists and ophthalmologists made in patients’ lives, he had a change of heart. 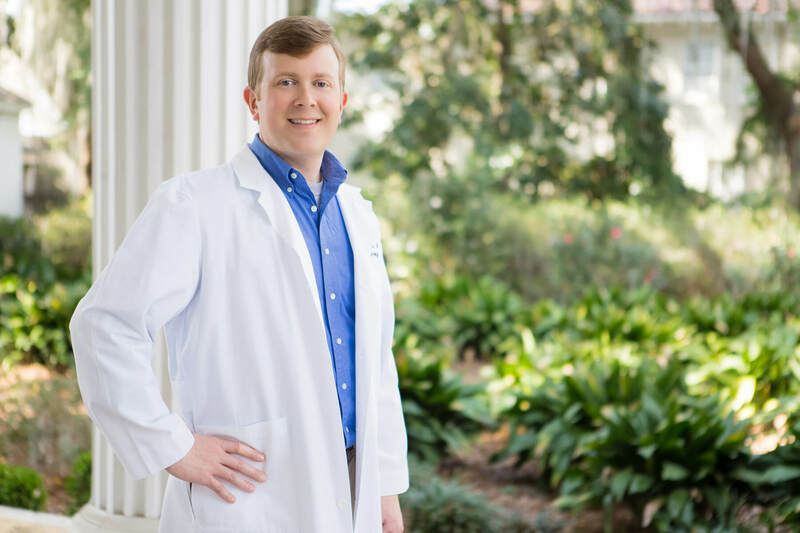 Dr. Ross is now an accomplished ophthalmologist with South Georgia/North Florida Eye Partners and specializes in comprehensive ophthalmology with an emphasis in cataract and refractive surgery. Dr. Ross performs LASIK surgery as well. “So much in medicine can be about the quantity of life, but what we get to do is improve QUALITY of life,” says Dr. Ross. And speaking of quality of life, in his spare time, Ross builds furniture and is a grill master – smoking meats and making his own rubs. Click here to see a video of Dr. Ross speaking about his journey to becoming an ophthalmologist (along with videos of our other doctors as well!). South Georgia/North Florida Eye Partners has three board-certified ophthalmologists and five board-certified optometrists. Our physicians are trained in scheduled eye exams as well as in the diagnosis and treatment of dry eye syndrome, glaucoma, and many other optical issues. We also perform LASIK surgery, laser-assisted cataract surgery and many other vision procedures at our state-of-the-art surgery center in Valdosta. With offices in Valdosta, Tifton, Douglas, Moultrie and Madison, Florida, there is certain to be a location convenient to you for all of your optometry needs. Call us today to schedule an appointment.